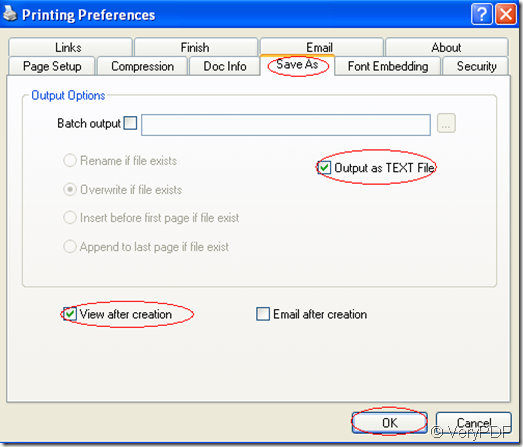 ← Could you know how to convert pdf file to png image? When you convert html to text,you can use the software PDFcamp Printer. It can print your html file to text as accurately as possible with headings, lists and tables all faithfully preserved. And you can see the results of converting current page from html to text by using just some small special function. 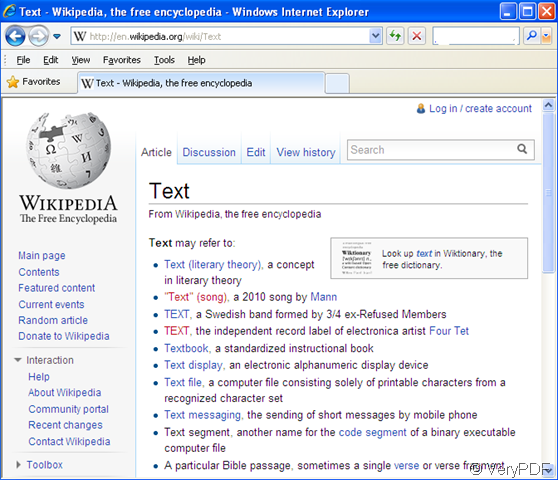 1.You can do a test to print html to text file on firefox or google chrome engine.Open a webpage and please use the hot key “Ctrl”+ “P” to start the printer.There is a printing preview on the right side of the window.In “destination” combo box,you should select the printer as PDFcamp Printer.Then set the parameters of it.If you want to realize the function of html to text,you need to click “save as”tab in the “preferences” window. 2.Just check “output as TEXT file”.If you want to view the new generated file automatically at the first time,please check “view after creation”,then click “OK”. 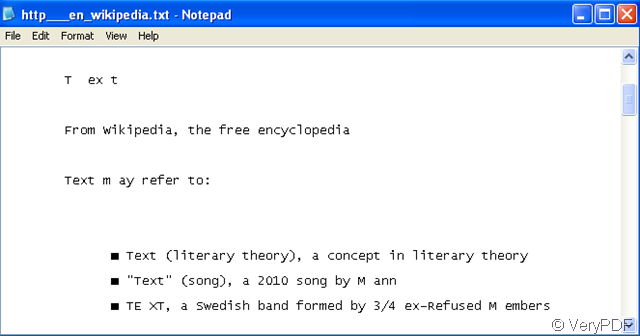 3.Save and name the text file. After that,you will find all the content in the text file are garbage characters just like the picture bellow. 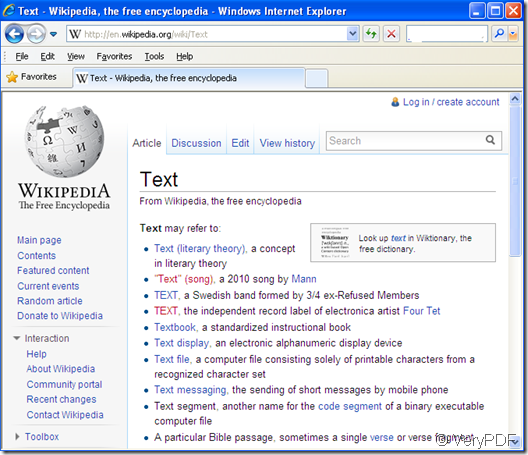 If you want to print html to text successfully,the search engine is an important key.You should choose Internet Explorer.You can take this page as an example. You will find when you do the same work like the steps above,a new text will come out without any question.So if you do want to print html to text file,you need using the Internet Explorer. 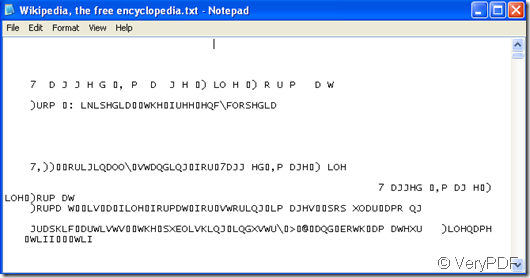 This entry was posted in VeryPDF Blog and tagged html to text. Bookmark the permalink.